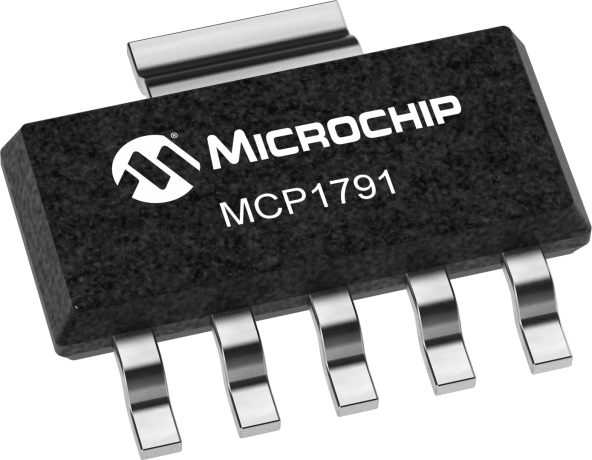 The MCP1791 is a 70 mA, ceramic output cap stable, high voltage, Low Dropout Regulator (LDO) with shutdown and power good functions. The MCP1791 is capable of handling continuous input voltage of up to 30V and is load dump protect for up to 48V, making it especially suitable for automotive as well as 12V/24V industrial applications. The MCP1791 comes in thermally enhanced DDPAK-5 package as well as space-efficient SOT223-5 package.